Creative Pixelz specializes in desining solutions which creatively integrate all aspects of visual communication to provide comprehensive solutions for our clients. From logos and corporate identity, to brochures, publications, cards & banners, Creative Pixelz graphic design and print design services will make your business or organization look great and get your message across clearly and concisely. 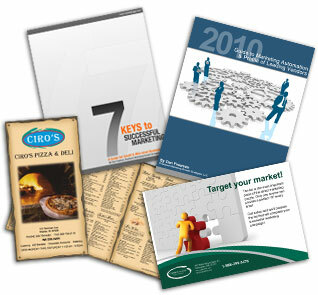 We will work closely with you to develop your corporate image & graphic design / print design strategy. Here is a list of some things we can create for you. Although our core business is design, in keeping with our "full service" approach to our client's media needs, we not only do the design, but also provide the finished product for our design clients. We work directly with the printer to avoid confusions and to ensure the quality of the design is in tact. You won't have the printer saying "Call the designer, it's their responsibility" and you won't have the designer saying, "Call the printer, it's their responsibility." What's more, we are able to, almost always, keep the charges for printing very low for our design clients.